Happy new year! Since it’s January, many cities have already experienced their first serious snow storm of the season, some of which arrived very unexpectedly. Even though you can’t plan when the snow comes, you can give some advance thought to what you will do when it does. Fast Company recently created this Snow Day Survival Guide to help you stay on target work-wise, with valuable advice about planning ahead, creating contingency plans, keeping tabs on emerging weather systems and rescheduling important meetings. 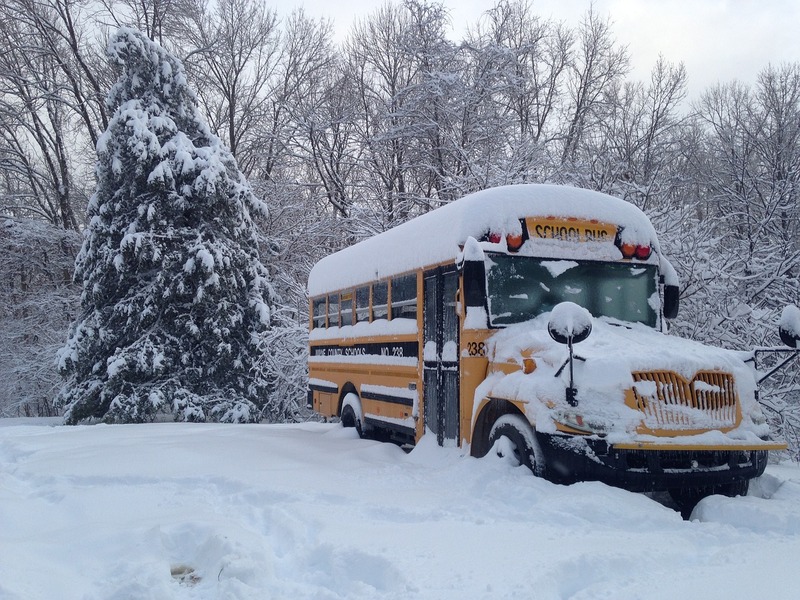 But for practical advice, we went straight to Facebook, to ask parents for their best strategies for dealing with snow days–and with inclement weather generally–without driving themselves crazy. “I resign myself to being late or leaving earlier. I’ve had an accident in icy weather so my rule is just go slow. Be late, it’s ok,” says Talia, a Denver, CO mom of two. Hope you hit those post-Christmas sales for extra savings on the snow boots, mittens, scarves, hats and extra socks. Pro-tip? “Always make sure boots and snow pants fit before you need them,” says Jordana, a New Jersey mother of six. Make sure you’ve set aside an area where kids can dump their snowy clothes and shoes when they come in, to minimize melted snow being tracked in all over the house, says Liz, a Boston mom of two. If school is cancelled, or you’re snowed in at home, treat it like an opportunity to spend time with your loved ones. Make cookies and hot chocolate to help everyone warm up. Always have art supplies around so kids have things to do that don’t have to involve a whole day of screen time. Form a neighborhood carpool to pinch-hit when snow disrupts the schedule. Are any of your neighbors on a flexible work schedule? Ask them in advance if it’s okay to rely on them in case of a snow emergency, and show them lots of appreciation before or after, because if they agree, they’re still putting off their own work that they have to catch up on later. In short: think ahead, take the opportunity to spend time with your children, and don’t forget to ask for help if you need it!